Rice is the most widely consumed food in India. It is a good source of protein. Now-a-days people are choosy about food, they prefer only low fat food or oil free and This rice pulao is low fat and cholesterol free pulao or biryani. 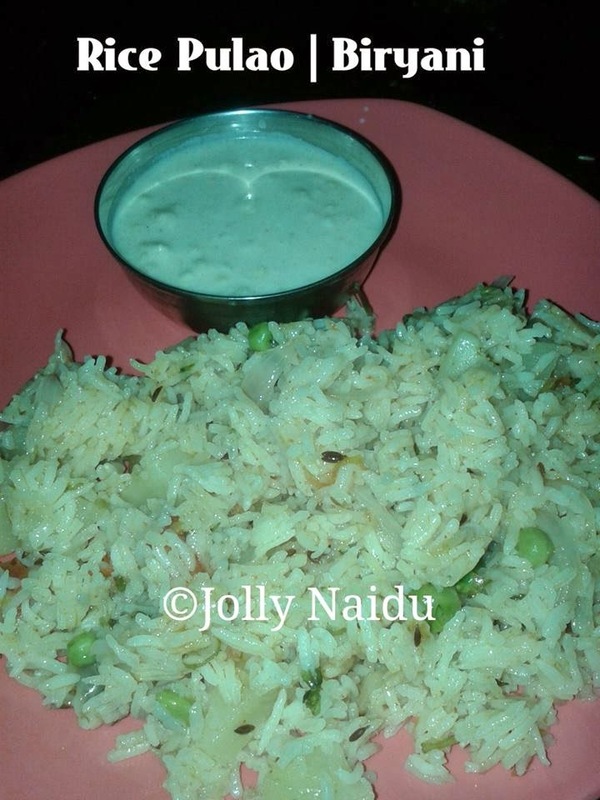 This dish is delicious combination of rice with vegetables (as per your choices) , all Indian spices and one interesting tangy ingredient Lemon juice. I prepare all rice dishes in a Kadai not in cooker. In Kadai, it will take time to cook but their taste is too delicious as compare to cooker. This is vegetarian dish. You can serve this veggie rice pulao with dahi, raita, pickle or any curry vegetables or yellow dal tadka. Fresh Lime Juice - 2 tbsp. Coriander Leaves (finely chopped) - 1 tbsp. 1. Clean the rice, wash it and after wash the rice with water, soak it in water for 1/2 an hr. 2. Peel the potato and onion. 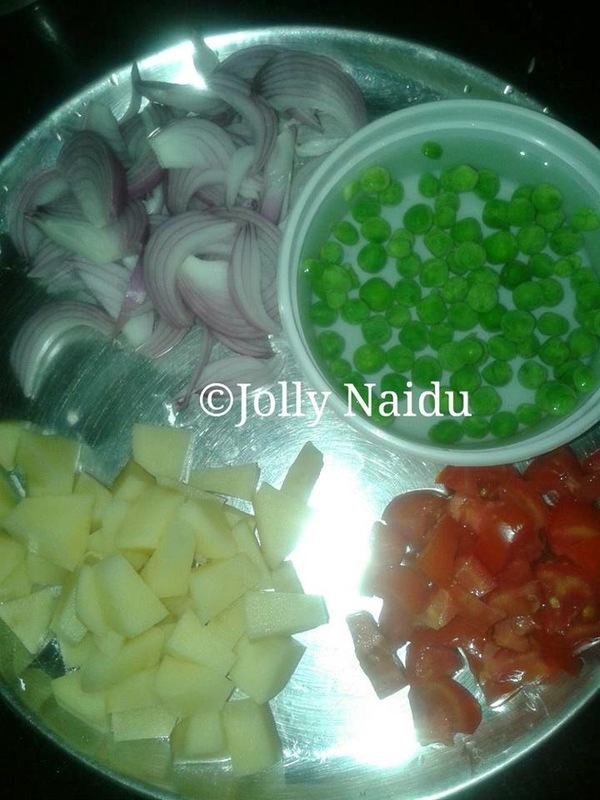 Cut all vegetables like below in the picture or as per your like. 3. 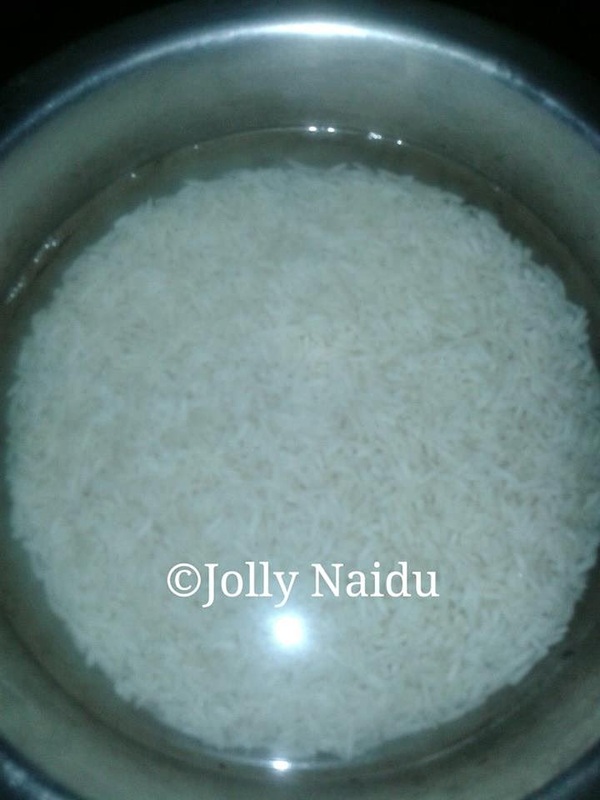 After 1/2 an hour, drain the water from the rice and discard the water. 4. Take a non-stick Kadai and place it on medium flame, pour oil and when it is hot, add jeera. 5. 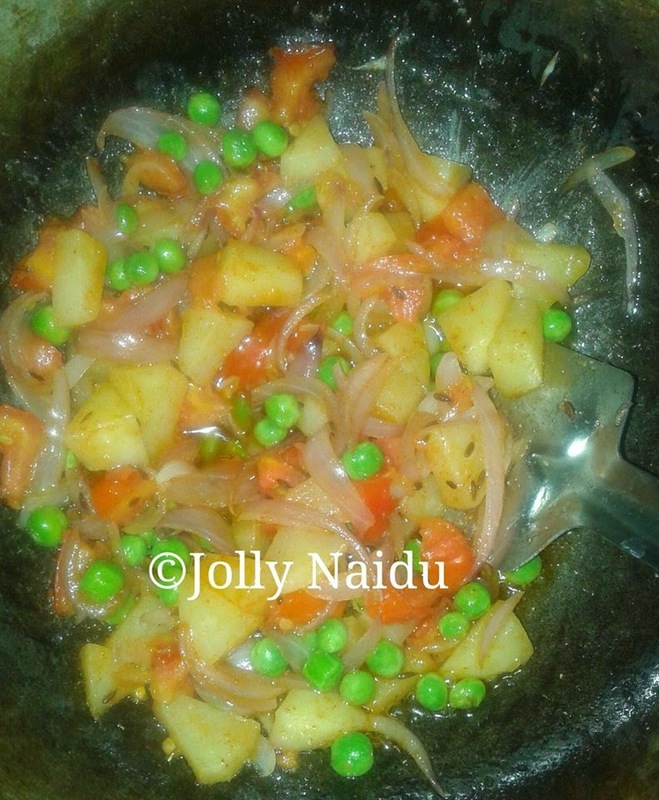 First fry potatoes with green chillies, then add onions, saute for few min till onion becomes transparent. Add green peas and potatoes. 6. Add all Indian spices - salt to taste, coriander powder, red chilli powder, garam masala powder. When this tadka is prepared. 7. Add soaked rice and water and let it boil. Give first boil on a high flame and then cooked the rice on a medium flame for 10 mins. 8. Once the rice will be semi-cooked, add Lemon juice and coriander leaves, mix it well. 9. Cover the Kadai and let it cook until water will get evaporated. You can sprinkle coriander leaves before serving. 10. Serve hot-hot rice pulao with dahi, raita, pickle or any curry vegetables.